Every year around this time I find myself on the search for the perfect handbag and pair of leather boots. However, this fall I'm looking for new ways to add leather to my wardrobe. Whether you want an edgy or sophisticated look, we've found some amazing leather pieces that will help you fall in love with fall! 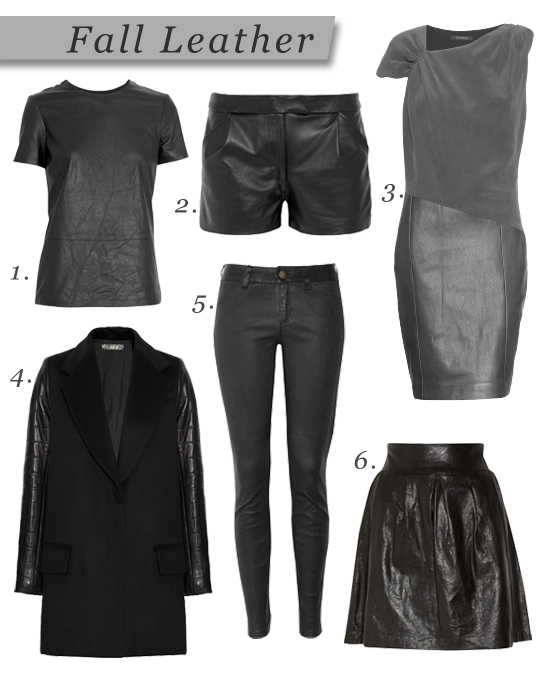 Topping my list this season: leather shorts! Surprisingly versatile, you can wear these Kelly Bergin leather shorts now and then pair them with tights and booties as the temperatures begin to drop. Or try pairing this Vince skirt with an oversize V-neck sweater and classic pumps for a flirty look.